Two necklaces for the price of one! 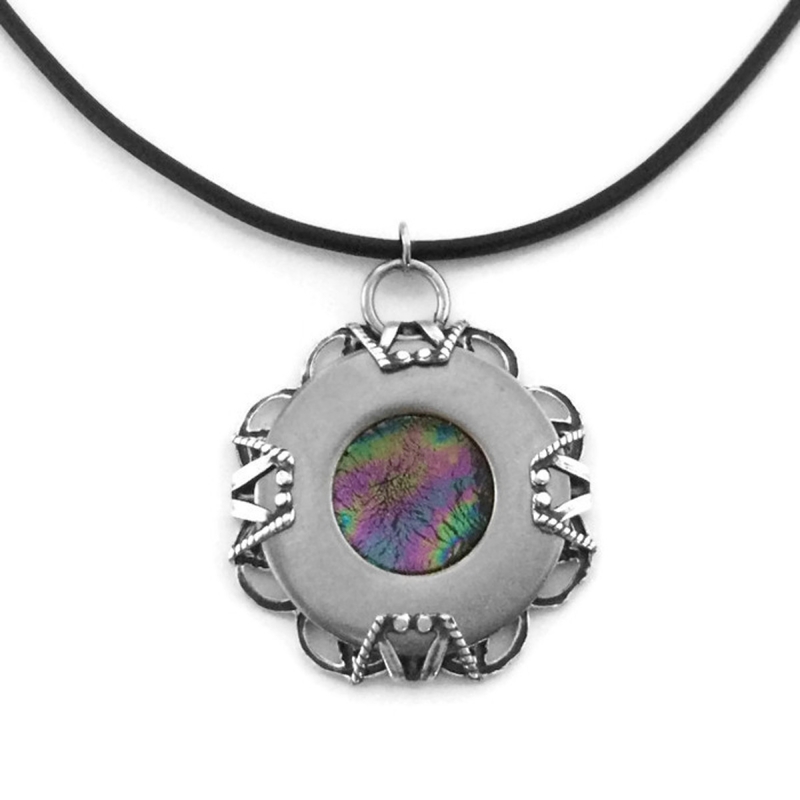 This pendant features two completely different designs on each side. One side features a 1 1/4" diameter. 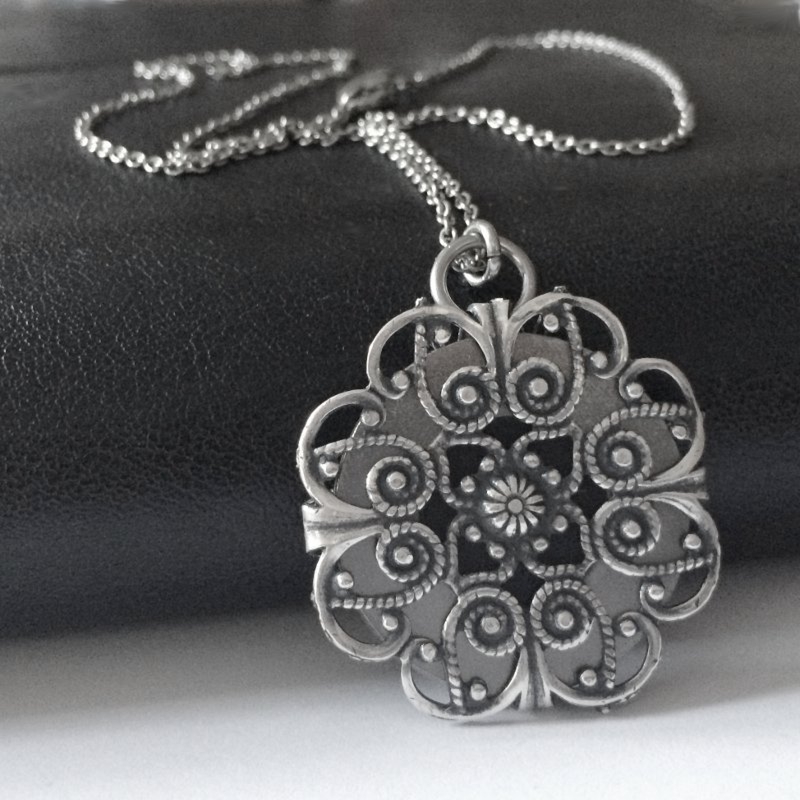 scalloped edge, antique silver filigree design with a black center. 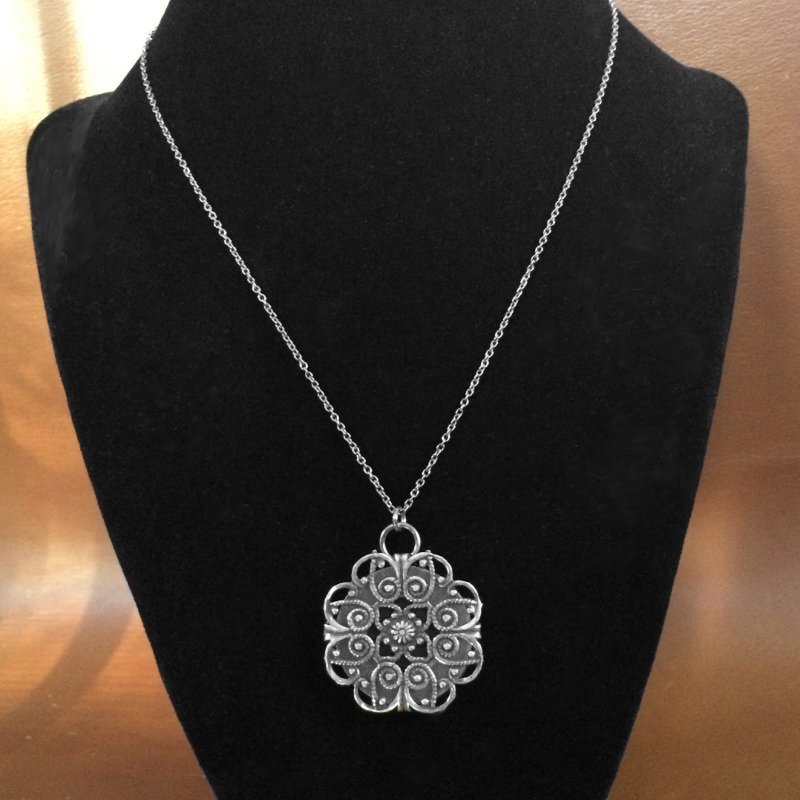 Turn it over and you will find that the filigree wraps around to cradle a 1 1/8" diameter stainless steel frame. 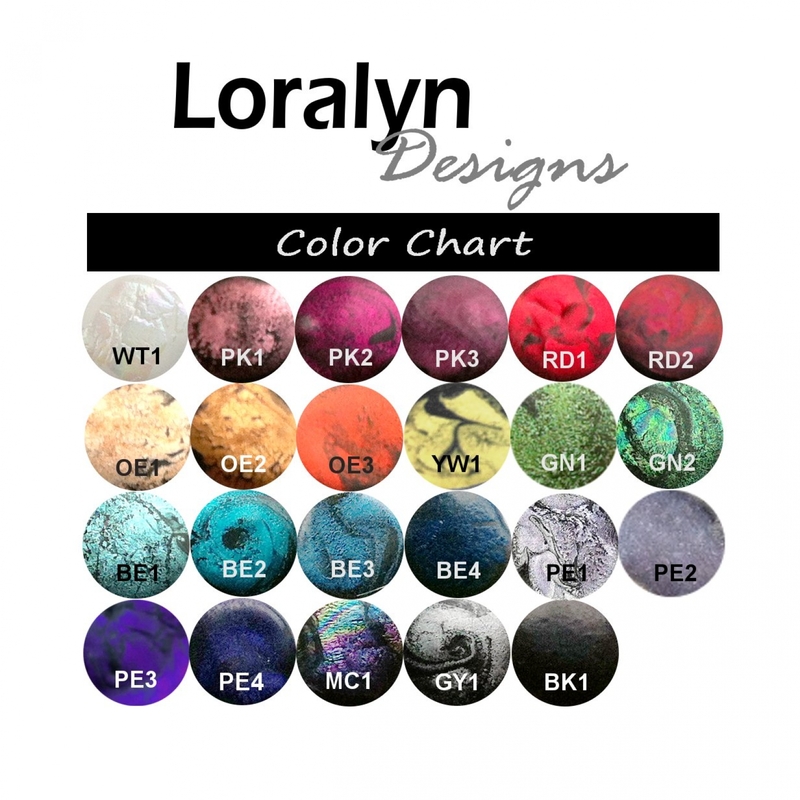 The center features a hand molded color blend that is fully customizable. 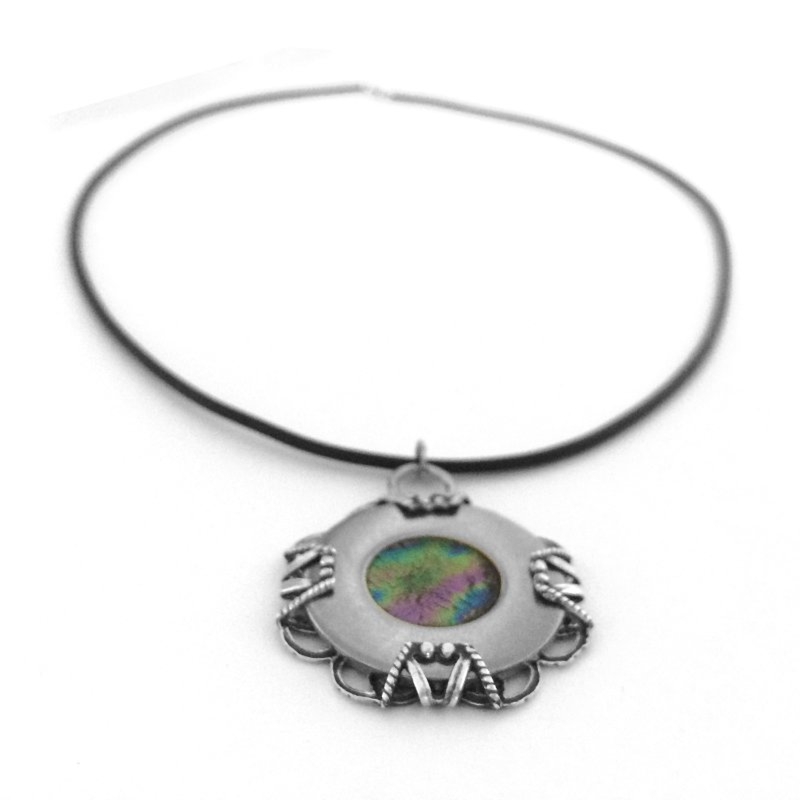 This gorgeous 2 in 1 pendant is available on your choice (and length) of either a stainless steel necklace chain or a black leather necklace cord with sterling silver clasps. See drop down arrow above for options. View our color chart - 5th picture of this listing. To order with a different center color in the steel disc, simply choose the appropriate color using the drop down arrows above (shown in MC1). The filigree side will remain black. This pendant comes in a silver tin with a see through lid. Great for gift giving!